^ hilarious!! Lol. Will watch this in cinema for sure. By the way to mods if you're reading, why are we no longer able to embed videos? riverpanthera - in the BBCode section, just use the [ youtube ] [ /youtube ] (without the additional spaces of course) and it shows up without issue. Nice trailer. Marvel is on a roll. I'm looking forward to this just cause it's Star Wars, but I gotta say, that trailer was not particularly exciting. Felt kinda bland. ^Agree, the movie looks incredible(and I loved that the trailer didn't give any plot away). It looks incredible! So many good movies this year. Plus I'm a big fan of Benedict Cumberbatch so at least I'm sure he will be good. What was the whitewashing this time? ^ Wow. Terrific trailer. I am a big fan of Benedict Cumberbatch as well. And I like Rachel McAdams as well. Though I don't even know this character, the trailer looks really good. So many Marvel films to looks forward to in the next couple of years. Jus search online- you'll find plenty of articles but in short it's Tilda Swinton playing a major character who is asian. This is made worse probably by the fact that Doctor Strange has strong asian mythology in the story. But yeah for me it's not that big deal cause the rest of the movie looks so good , however I don't understand why hollywood keeps doing it when there are plenty of good asian actors. You would think they would learn from the backlash now. And especially Marvel of all people don't need to do this, their movie is going to get eyeballs anyway because of their reputation and that it's starring Cumberbatch so it's not like casting Tilda Swinton is making the movie more viewer friendly. ^ Ah ok. This is actually more understandable. But again, I will wait till the movie comes out though. Because I remember the whole backlash about Ben Kingsley and the Mandarin. And because of what it eventually turned out to be in the movie, it now seems much ado about nothing. The problem is there's few good roles for asians as it is and then you take away the ones that are actually written for them, of course people are going to be angry. It woudlnt' be an issue if there were plenty of roles already available for asians (hence why you can change white character to non white and it won't matter because there's plenty out there-although even then you probably would get some backlash). And with the oscars it was the same sorta issue, people weren't really angry that no black people were nominated, it was more that it showed just how few good roles there are for black people to begin with so there's not much room for oscar worthy performances. However I do agree that boycotting is going too far, hence I will still watch this movie, and probably even love it. It's just something that there was no reason for them to get wrong. P.S Please tell me you dont' really think Ken Watanabe is the only good well known asian actor. I'm going to assume you wrote that without really considering properly. ^^ Wow, that's a lot of content in one post. Feminists are not annoying. Not the genuine ones. Its those pretentious, aggressive women/men who don't understand feminism and just act like a bunch of bullies. Those are the annoying ones. I know people say that this was about Blacks not getting as many roles and not about nominations, but I think that was not true. Why would you then boycott the oscars over this? Why should someone get a nomination just because they are black or asian or mexican or whatever? And if this waa truly about "diversity" why is it that the Black community was only p***ed off at the under-representation of Black people in Hollywood/Oscars and not a word was uttered about other races. I think the whole thing was bs and an over-reaction which is typical of the internet age. Finally about the Tilda issue. The producers and directors felt like she was perfect for the role. But instead of getting someone perfect for the role, they be "politically correct" and hired someone of Asian decent just because they were Asian - I think that would be unfair to Tilda Swinton. Because race took precedence over merit. ^I can't be bothered replying to everything (partly cause it's opinion and so I"m not going to change it) but I dont' think the comparison you make about asian movies vs hollywood movies is correct and the reason is that in REAL life, there is far more diversity in america than there is in any asian countries. So hollywood movies do need to represent that diversity more than any asian movie would- I mean there's no one there who is missing out or suffering as a result. We are not really talking about asian actors here as such who have enough roles in their own countries. But it's Americans or British actors (though I find british movies/shows are much better with diversity) of asian heritage that suffer the most. This is more a general comment though not necessarily related to this movie. Plus the issue here is different in that this character was written as asian and the movie is still steeped in asian culture and even in the trailer you can see that influence- she is basically dressed like a monk etc and presumably training in some asian monestary. It's like everything about her screams 'asian' but she's not asian. it's just plain stupid. I wouldn't mind if the culture was not an important part of the character and the mythology. Can you imagine a hindi movie having an asian character played by a white guy. I'm sure that would not go down well. But somehow when hollywood does it, it's ok.
Or even to an extent, I was ok with Benedict playing Khan in Star Trek.. because at least there, it had a somewhat logical reason (the surprise factor) and that once again, there wasn't anything about him that was arabic or muslim as a characteristic besides his name. Plus they were probably trying to avoid the stereotype. But movies like Gods of Egypt etc are the worst at this whitewashing, compared to that Doctor Strange is not that bad, at least it's just one character. I'm just disappointed because it feels so unnecessary. GOOD American actors of Asian heritage. Who are these guys? ^ok I'll admit I can't either, at least not off the top of my head, but I"m sure they exist. In fact that itself is the problem that we can't name these guys cause they never get a chance to shine. anyway I don't think you are getting the point I am making but instead getting too caught up on having 'big name' actors when there was not even any need to cast a big name in the first place here. Also as I said this movie is a different story because in this movie's case as the character is written asian so even an asian actor will do- doesn't have to be american asian. all I can say is, Tilda better give the performance of a lifetime if I"m truly to accept that not a single asian or asian/american actor was capable of doing that. (not that I have anything against Tilda at all, it's not her fault) Producers always give that silly excuse that someone was perfect for the role when they are trying to not come across as whitewashing and frankly that excuse never flies. The funny thing is, like 5-7 years ago, if this had come up, I would be reacting exactly how you have, i thought it was just no big deal (I even defended The Last Airbender casting at one point- gosh I was so wrong), but having seen more and more hollywood movies and just I guess hearing the different view points, I have changed my thoughts on the subject. I do think white washing is a very real problem and I"m just astounded that it's still happening. You woudl think in this day and age it wouldn't be necessary. But I really should stop now, this is making it all sound like I hate the movie, when I'm actually really looking forward to it. And this whitewashing wont' even affect my opinion about the movie to be honest. It's not like i"m going to rate it lower. But that doesn't mean I"m going to say they are right about this when they are clearly not. this movie is just getting my criticism in a way precisely because i"m looking forward to it, so I care more about it. But it's just one movie, the problem is that it happens on a regular basis with all movies. Even after posting this, I heard about Ghost in the Shell- dont' even get me started on that one. And I agree with it to an extent. There is an issue, and it should be addressed. I just do not agree with the way it is being addressed - the wrong points are being discussed and addressed. Because, as I said, the issue is not truly about diversity if only one section of non-whites is being represented. The Oscars hosting was prime example of that - as Inarritu called it out. I'm kinda looking forward to this as enjoyed both the first two movies. His hair is a lot like William Shatner in this one. I love Angels & Demons and The Da Vinci Code (both movies & books) but I had no idea this was coming out so got a surprise when this trailer showed up. Although this book I actually haven't read yet, I kind of lost interest in the Dan Brown books some years ago because they do get quite repetetive I feel and Lost Symbol was a disappointment, so I hadn't read this one. The trailer seems to be revealing too much like most hollywood trailers these days but i'll see this movie anyway lol. 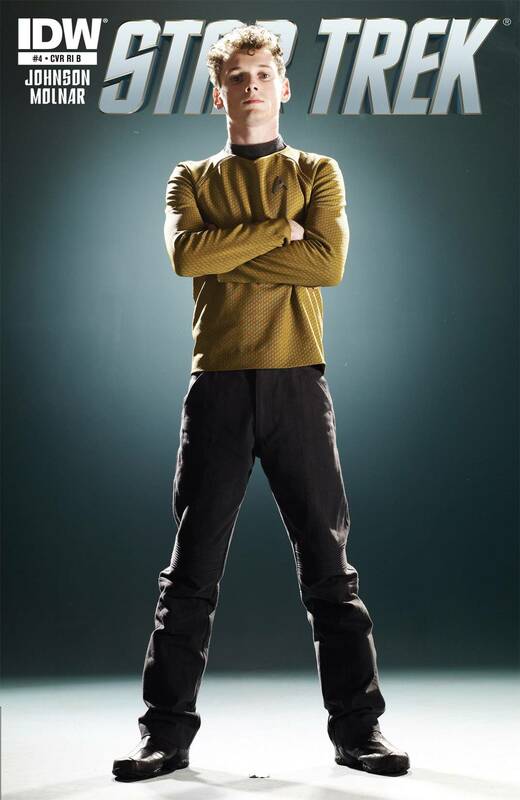 Just found that actor Ashton playing Pavel Andreyevich Chekov, the adorable 17 years old character from Star Trek, passed away last Sunday. He was so young, may his soul rest in peace. I will watch this for sure just for Jared!! ( I'm a big fan of his rock band since years, and the rare films he does). Looks like he played Joker to perfection and in a different way! I heard and watched a couple of songs from the "Suicide Squad: The Album” just superb. Wonder Woman trailer- damn this looks totally epic, DC really know how to make great trailers. The background music was just perfect. I think this could end up being my favourite superhero movie if trailer is anything to go by. I literally got goosebumps. Never thought I would say that about Wonder Woman. Yep. I'm sold. This looks great! Two unbelievably likable actors in a romance set in space. This might be my most anticipated film of the holidays now. Star Wars who? ^That looks quite interesting! also I"m a sucker for space movies. I do agree it looks better than Star Wars too. I literally teared up after watching the trailer. Too much feels. To say it's magical is the understatement of the year.